Impressive power, cutting-edge technology and a beautifully crafted interior - the Audi A6 delivers it all. Your first drive will prove it's a brilliant performer from the inside out. And details they'll notice. 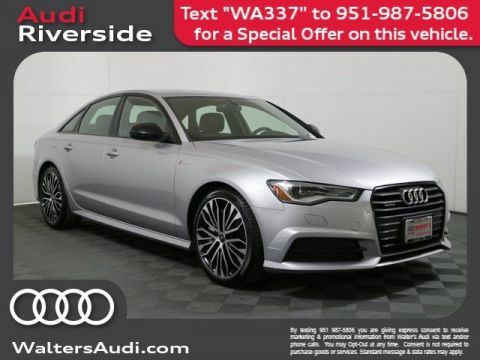 From the bold look of the available full LED headlights and signature Singleframe grille to the clean and assertive character lines that define its profile, the A6 commands attention - and keeps it. Striking lines, premium trim and sport handling give the S line a singular look that inspires double takes. With sculptural horizontal lines, the Singleframe grille is a distinctive statement on Audi design - and the road. See and be seen with iconic available full LED headlights. They're how we make every drive brilliant. Bold, functional and undeniably beautiful, LED taillights leave a lasting impression. Premium leather seating surfaces bring indulgent, timeless allure to the cabin's interior. Leather-wrapped and built with shift paddles to make quick shifts, the multifunction steering wheel puts the driver squarely in command. Beauty is in the details. Meticulous interior inlays available in Brushed Aluminum (on the A6 competition) and Piano Black are testament to our dedication to the finest craftsmanship. Enveloping the driver and front seat passenger is an expansive wraparound dash available in numerous premium trim options. Roads can be unpredictable. 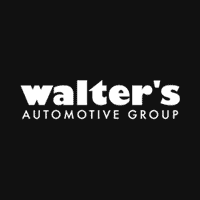 Come prepared with our available quattro all-wheel drive system. By sending power to the wheels with the most grip, quattro helps improve handling performance - and your level of confidence - in virtually any weather condition. 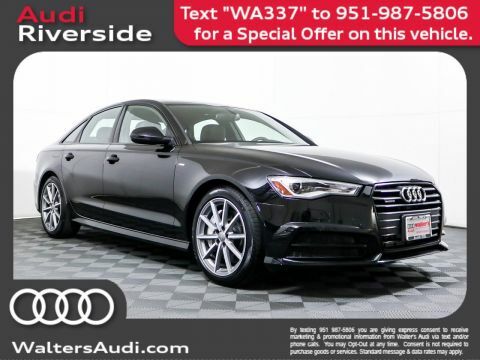 Compared to conventional body designs, our lightweight technology uses advanced materials that are strong yet lightweight, helping provide the A6 with faster acceleration, shorter braking distances and sharper handling. It's how lightening up means gaining serious performance. Personalize your driving style with the Audi drive select system. 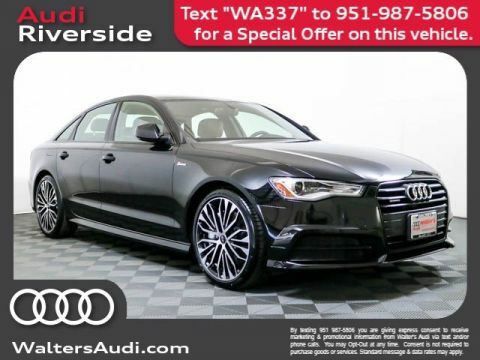 By allowing you to adjust the steering, throttle and transmission responses of your A6, you can tailor the vehicle to match the road you're traveling and your driving style. It's how the A6 is a car that shifts not only gears but perceptions as well. The Audi smartphone interface enables Apple CarPlay and Android Auto integration, enabling access to your compatible phone's features, such as navigation, telephone, music and select third-party apps and can be controlled through the Audi MMI interface, your voice or steering wheel controls. 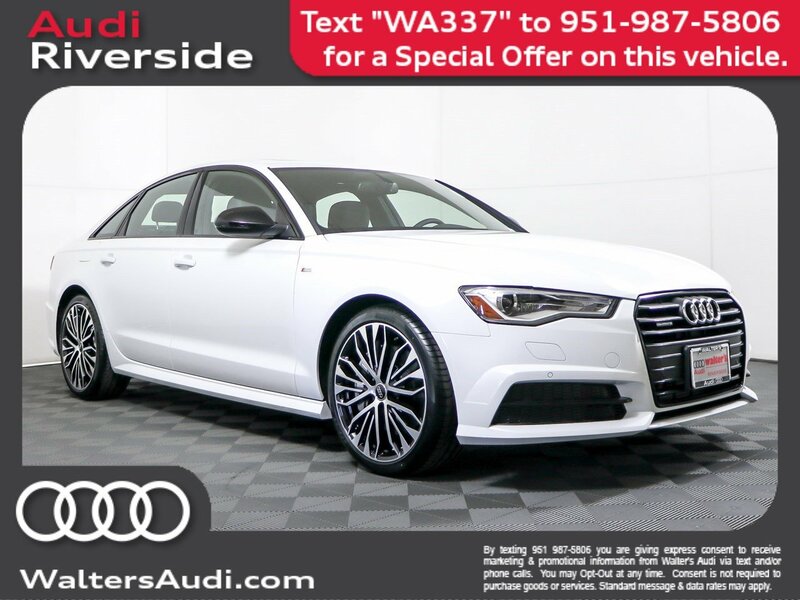 Let the new 2018 Audi A6 impress you today at Walter's Audi located at 3210 Adams St. Riverside, CA 92504.